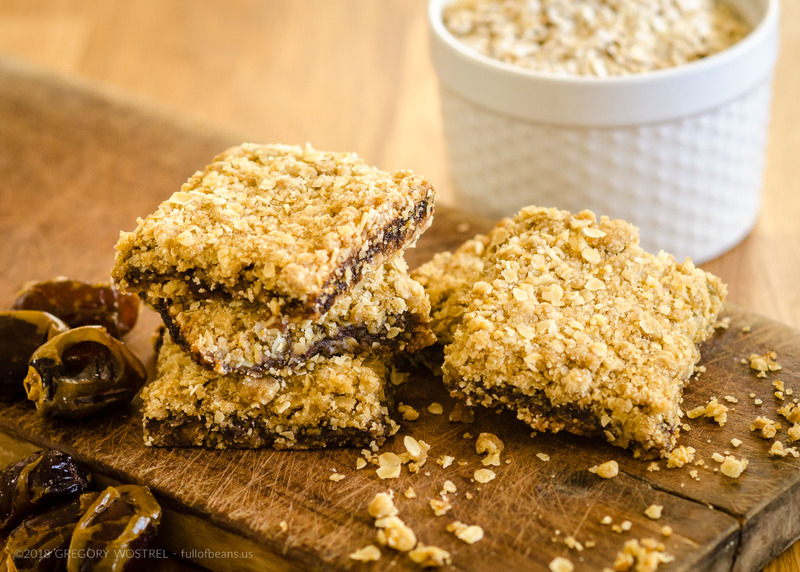 This recipe for Vegan Date Squares is an adaptation of a childhood favorite. My mother had seven children, was a stay at home mom, and spent a great deal of time preparing meals for 9 people. 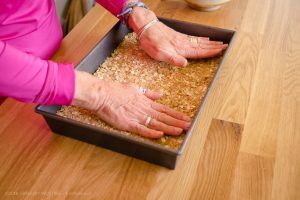 I can remember my Mom sitting at the kitchen table, pitting and expertly chopping the dates for her date squares. Of course, we would be snatching a few dates while they were out. She let us get away with it because she loves dates too. When I think back on that, I really appreciate what a labor of love that was. 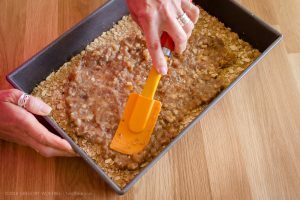 Believe me, that pan of date squares would be gone in minutes! Making this adaptation came about when I recently purchased a 2.5 lb bag of organic pitted deglet noor dates and started craving these bars. I knew that I had, at some point, tucked the slip of paper with my Mother’s recipe on it, into one of my cookbooks (do you ever do that?). So, I went searching through all of them. But, no luck. Now, my Mom is 91 years old. After my Dad died, she sold their home and relocated to a retirement community. I couldn’t remember seeing her cookbooks in her new apartment, but I gave it a shot and called her to see if she still had the recipe. I was as delighted as she was that she had it. It was so fun to have her read the recipe to me, step by step. Actually, it was so much sweeter than if I had found it, because we talked about what a family favorite these bars were. I even learned that she started making these because my grandparents didn’t care for dates and would pass along to my parents the gift of dates they received every year from a California relative. I was excited to make a fresh batch of these for this post. But, we had recently moved and my old, die-hard, Cuisinart food processor was a casualty (30 years after I bought it second hand from a girlfriend). So, I had to wait until my new one arrived. Why wait for the food processor (instead of just doing it by hand, like Mom)? 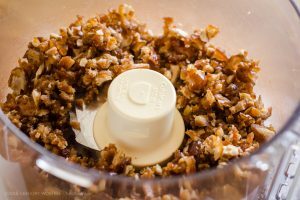 Because a food processor really makes this recipe come together quickly with a nice consistent chop to the dates. The only hard part is waiting for them to cool in the pan, an essential step in having them hold together. 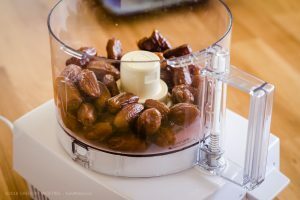 Nothing like a Cuisinart to chop up those dates! 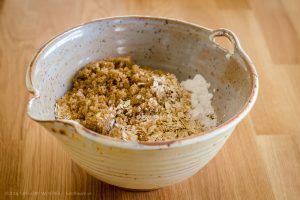 Nutrition MVP: For this recipe, I would say that dates are the MVP with oatmeal coming in at a close second (hey, snacks can still be good-is for you!). 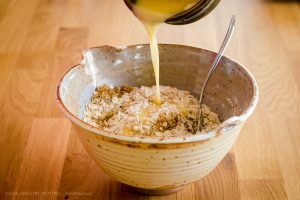 While the health benefits of oatmeal are fairly well known, dates are often avoided because of their high sugar content. While this is a fair concern, dates are a great source of fiber and magnesium. 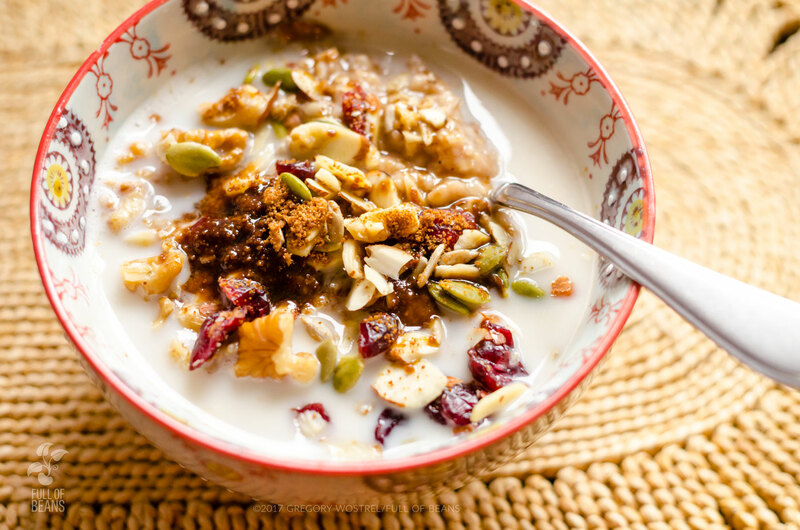 Fiber is essential for digestive health. Magnesium is a powerful nutrient for decreasing systemic inflammation and is associated with lower blood pressure. So, in the end, dates provide wonderful sweetness PLUS nutritional value. Much better than simple processed cane sugar! 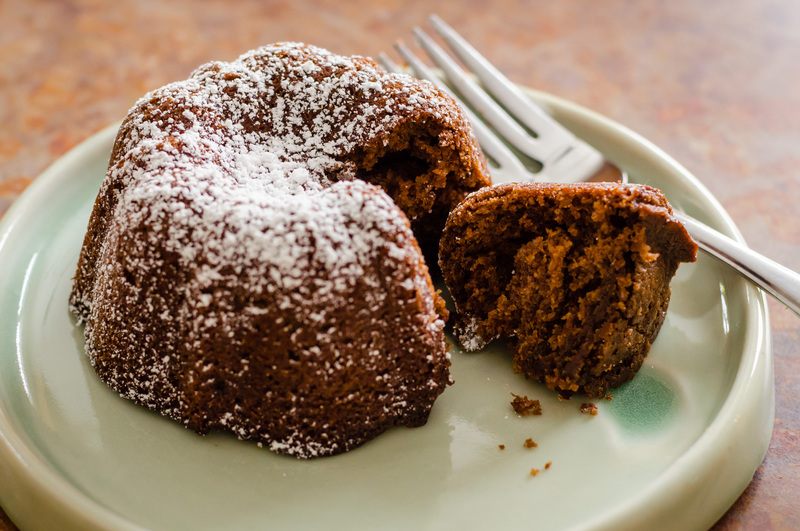 We’re all about healthy eating but we also love a great dessert, and this is one of our favorites. The texture of the bar is the perfect balance of creamy center and plenty of satisfying crunch. So, enjoy the sweet treat of these Old Fashioned Date Squares, vegan-style! * a note about dates: there are many kinds and they all have different properties. The most common in the supermarkets are Deglet Noor. They are medium brown, firm, a little drier, and slightly sweet. The other type you often find are Medjools which are large, very dark, very sweet, and a bit expensive (usually). Because they are so easy to get we often use the Deglet Noors. But Medjools would really intensify the sweet. 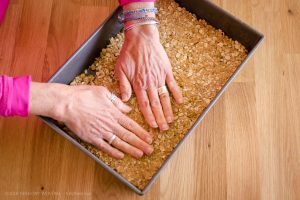 Much harder to find are the soft, gooey, sticky, super sweet Khadrawy dates (which we love), which are a real treat, and wonderful in these date bars. You really can’t go wrong – its your choice! Thanks for the comment and for giving the date squares a try. 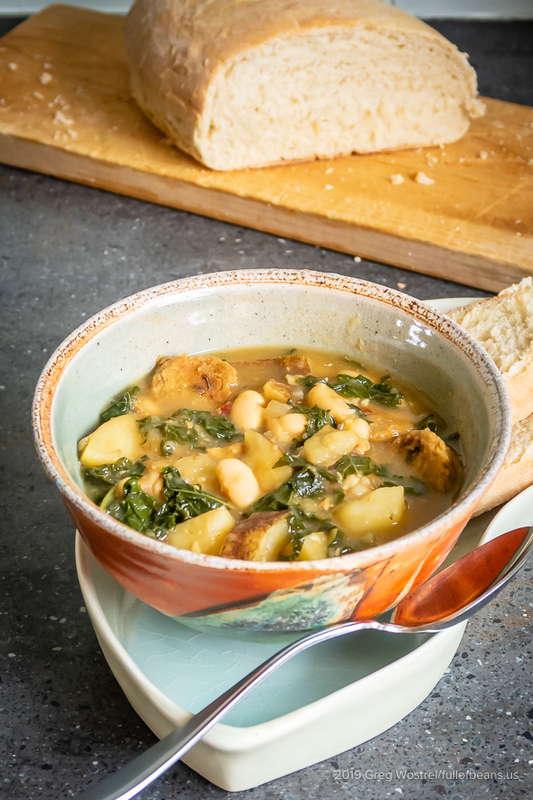 As we mentioned in the post, our aim was to make a vegan version of a childhood fav without altering the taste and consistency (as much as possible). As we also mentioned, its a rich dessert. Day-to-day we happen to have a very low-fat, hardly any added sugar diet, and every now and then we simply indulge – and its we think its OK.
That being said, we did discuss changing the amount of added sugar, mostly because dates can be very sweet all on their own. We may go ahead and give that a try. Please let us know how you like the recipe with your alterations – we’re sure it will be tasty. 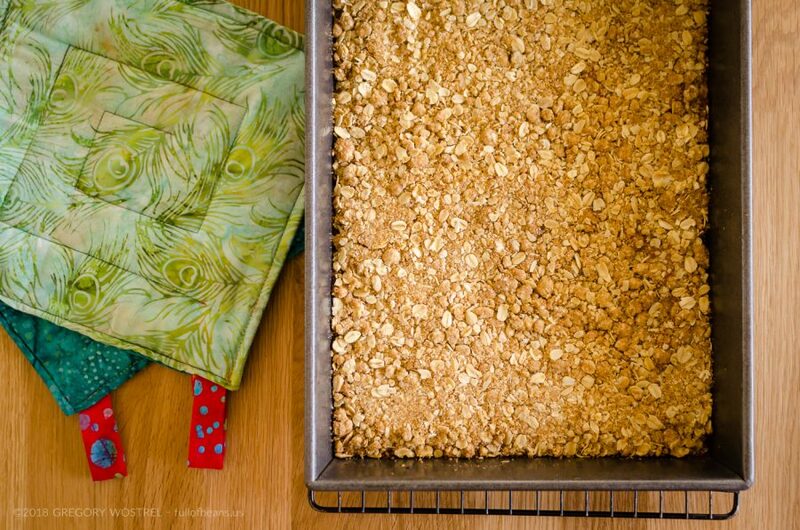 We usually cut the pan into 12 generous squares. You could cut the pan into 15 pieces and still have a nice treat (or whatever size seems appropriate to you).